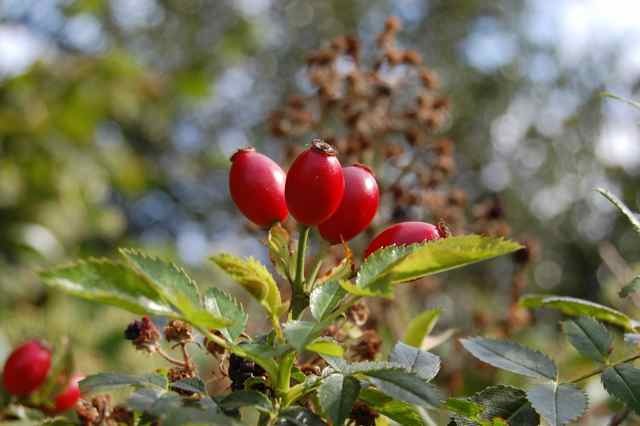 Robin Harford's website 'Eat Weeds' gives instructions on how to dry rosehips for tea making. Can't wait until next autumn now! I used to drink lots of rosehip tea, too much perhaps because I just can't stand the taste nowadays. Sad really! I have dried my rosehips on the radiator and they are about dry now. I'll let you know how I get on, Hedgewitch. I used to make rose hip tea a lot, but I never dried or sifted them! I just picked ripe fresh ones, rinsed and crushed them with a spoon, then put in a tea ball like other loose tea. The flavor varies depending on the variety, but I found it generally mild and a little citrusy :). I guess I just ate them in season, didn't think about drying for later.